There’s more to a city than meets the eye. Especially when it’s New York City. No where else on earth is there so much energy. Vibrancy. And diversity. The people, the neighborhoods, the culture, the restaurants - they’re all here just waiting to be discovered. 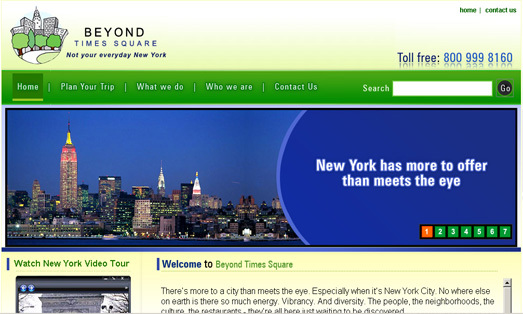 That’s where Beyond Times Square comes in. Our mission is to show our guests the real New York City. Not only from the window of a bus, but from the viewpoint of New Yorkers. Experienced guides will take you by car, on foot, by bike or by the ever-present subway to go beyond the typical tourist spots and enjoy an authentic New York experience.